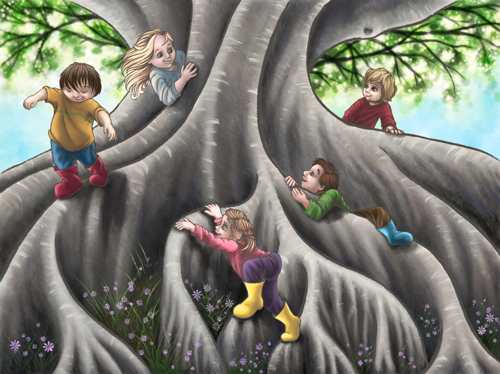 An illustration for "God's Old Testament Stories: For Children of All Ages". 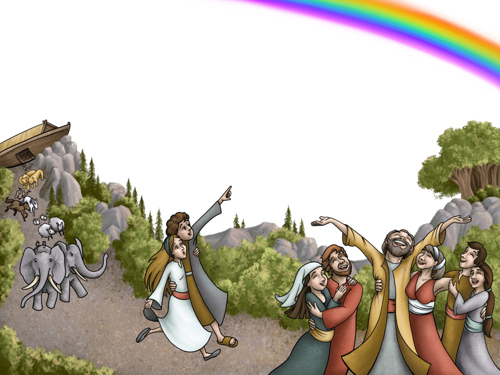 Showing the Noah's Ark landed with the God's rainbow promise. 9" x 12"13" x 17.25"17" x 22.75"18" x 24"21" x 28"
An illustration for "God's Old Testament Stories: For Children of All Ages". 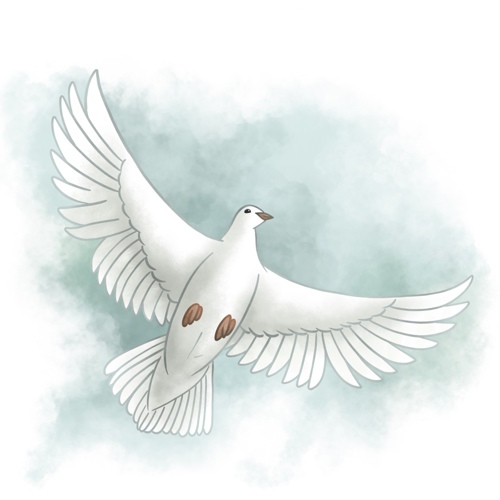 Showing the dove that Noah released to look for land. 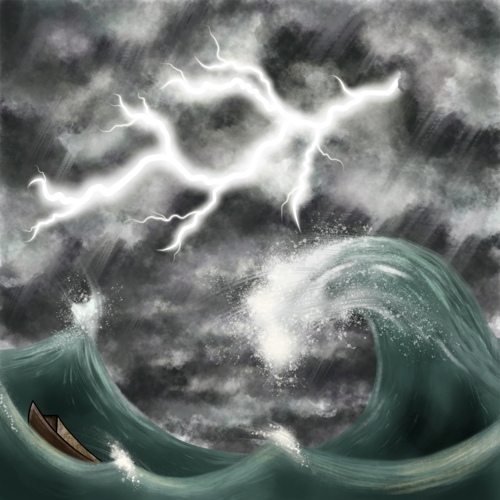 10" x 10"12" x 12"16" x 16"20" x 20"24" x 24"
An illustration for "God's Old Testament Stories: For Children of All Ages". Showing the Noah's Ark during the stormy flood. 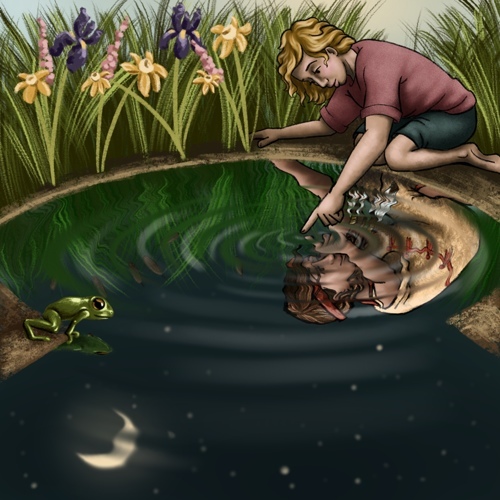 An illustration for "God's Old Testament Stories: For Children of All Ages". 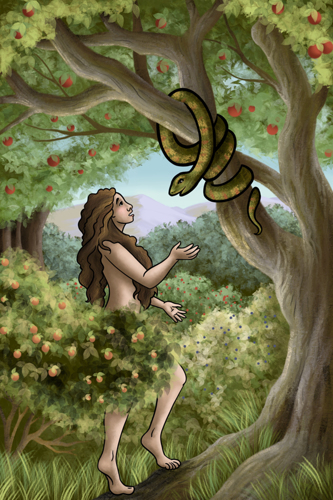 Showing the temptation of Eve by the snake. 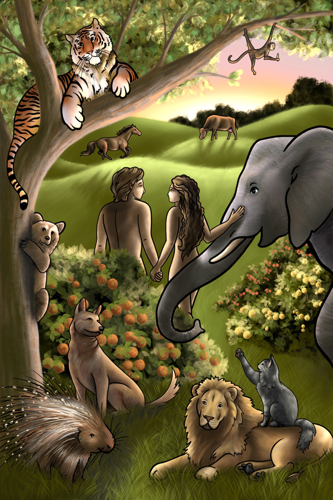 9" x 6"18" x 12"25.5" x 17"30" x 20"35" x 23.25"
An illustration from "God's Stories: For Children of All Ages: 'In the Beginning'", when God creates all the animals the move on the land and man and woman. The sun sets on the sixth day. 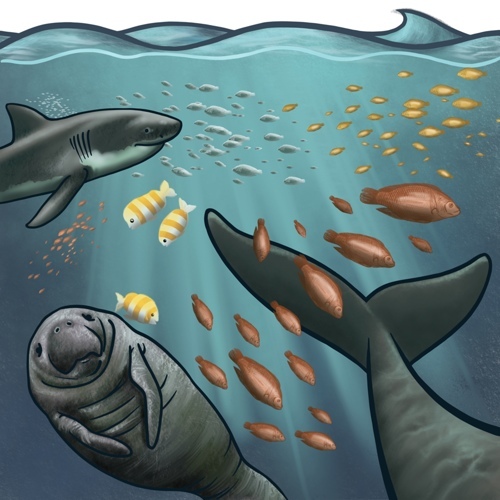 An illustration from "God's Stories: For Children of All Ages: 'In the Beginning'", when God creates all the creatures that live in the sea. 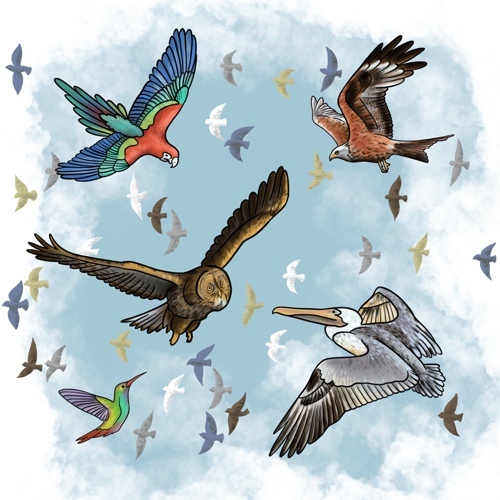 An illustration from "God's Stories: For Children of All Ages: 'In the Beginning'", when God creates every "winged bird" that flies above the earth across the expanse of the sky. 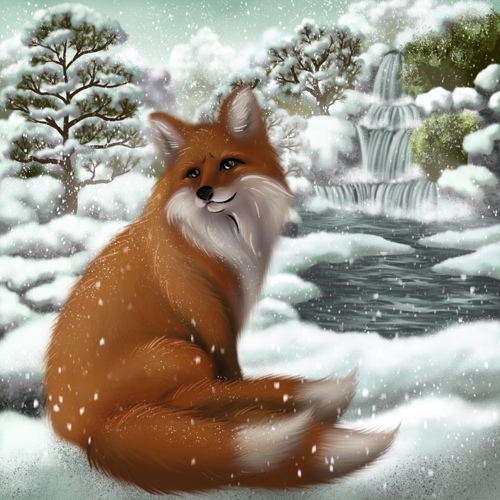 A magical three tailed fox of Japanese tradition. This one is enjoying a crisp winter day. Created for Folk Tale Week 2018. 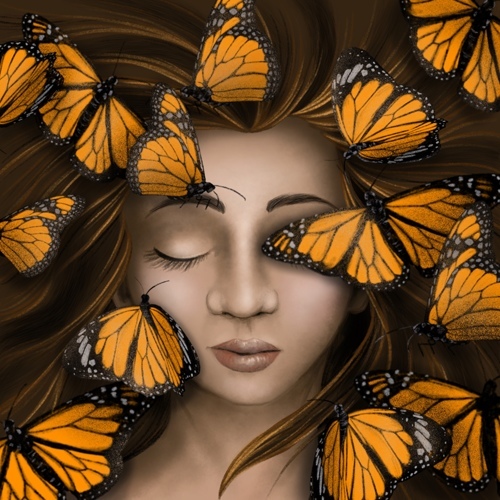 A sleeping princess is surrounded by butterflies in a kind of fairy magic that keeps death away until true love's kiss. 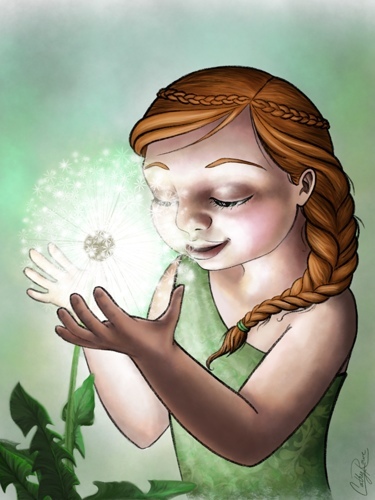 Created for Folk tale week 2018. This Illustration spread shows the history of my name. 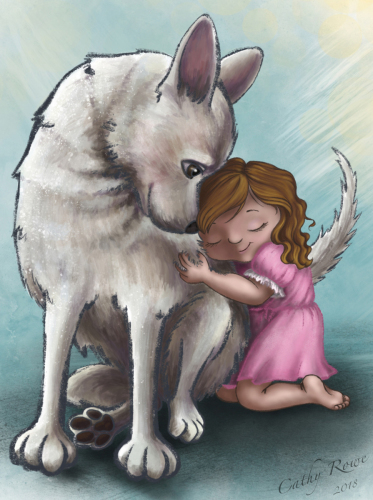 5" x 12"6" x 14.25"7" x 16.75"8" x 19"9" x 21.5"11.5" x 27.25"
A Girl and her dog share a moment of love. 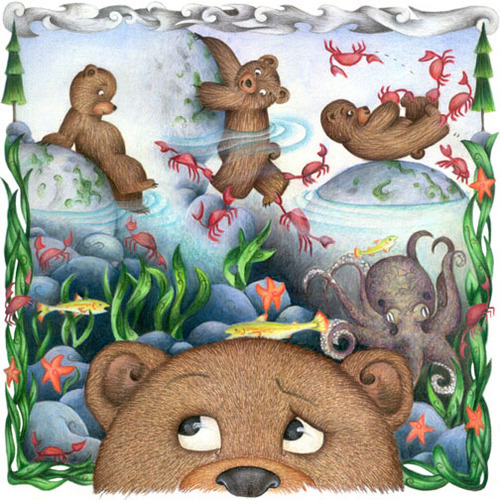 6.75" x 5"8" x 6"9.5" x 7"10.75" x 8"11.75" x 8.75"
An illustration of the fable of the bear and the crabs. Matted and framed with museum glass.